Only accept cookies and third-party cookies from Costco. Accept cookies and third-party cookies from all websites. Ensure that your browser is up to date before editing settings. Select the browser menu icon in the top-right corner of a Chrome window. Click Settings, then click Advanced. Under Privacy and security, select Content settings. Select the browser menu icon in the top-right corner of a Firefox window. Select Options, then click Privacy & Security. 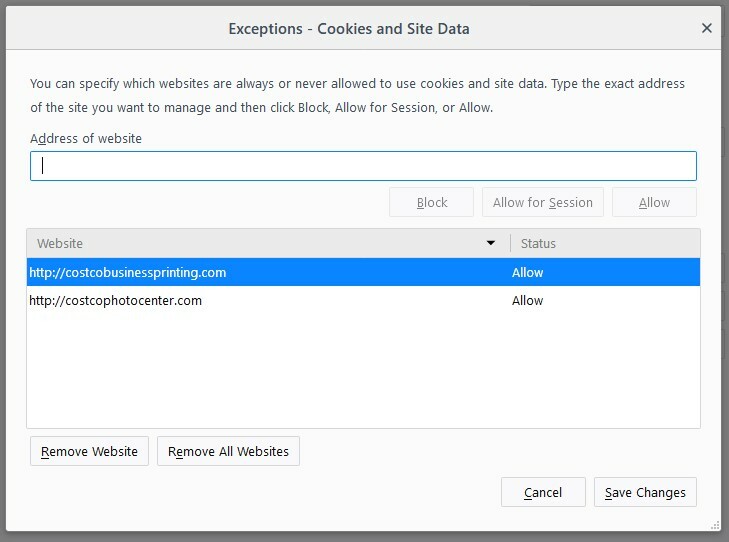 Under Cookies and Site Data, click Exceptions. Then, enter the following website URLs. Click Allow after each one. 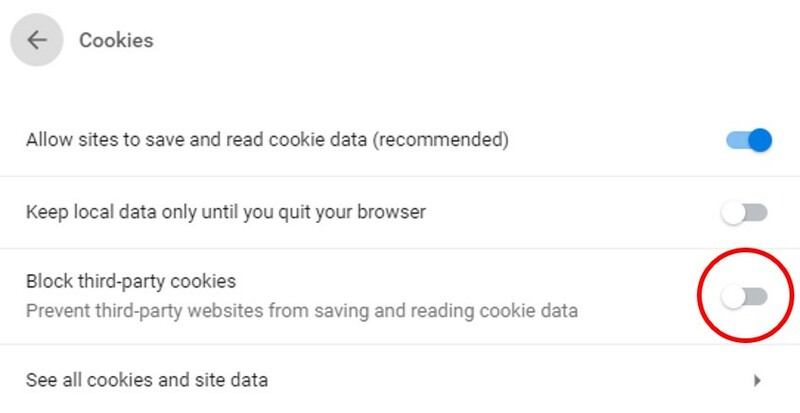 Ensure that Allow sites to save and read cookie data is turned on and that Block third-party cookies is turned off. Under Cookies and Site Data, ensure that Accept cookies from websites is turned on, and Accept third-party cookies is set to Always.